Divestment or What? Economic Tools for Creation Advocacy in a Time of Crisis. Faith & the Common Good: Greening Sacred Spaces and the Toronto United Church Council’s Green Awakening Network invite you to join us for our 2014 Annual Forum. The theme of the 2014 forum is "Divestment or What? Economic Tools for Creation Advocacy in a Time of Crisis." Its purpose is to create a space where we can openly explore the dilemma presented by our personal and institutional enmeshment in a fossil-fuel based economy. The "‘Do the Math" campaign has highlighted for many of us the disastrous environmental consequences of continued reliance on fossil fuels – and yet many of our private and institutional investment strategies are built around that reliance. What is the way forward? Is there a moral imperative for faith communities to divest from fossil fuels and invest in a clean energy future? Are there alternative green investment strategies open to Canadian institutions that rely on return on capital to fund good work? What are some of the practical, economic and fiduciary restraints facing charities, faith communities, and individuals that need to be understood? Highlights: Confirmed keynote speakers include Rev. Fletcher Harper, Executive Director of GreenFaith, and Jane Ambachtsheer, Partner and Global Head of Responsible Investment at Mercer. The forum will also include a screening of "Do the Math" and an Eco-Fair featuring local green social enterprises. This will be the first forum of its kind to target Canada’s faith sector in an exploration of the economic tools available to us to help shape a clean energy future for the next generation. We hope you can join us for what we know will be an informative and frank conversation on the topic. Watch this space for registration and event details! Mushroom Workshop: He rocked it. There's lots to do to protect and enhance our wonderful planet and its inhabitants of all sorts. There is also lots of fun to be had and we are kicking off the new year with a workshop on growing your own mushrooms at home. Yay! I love mushrooms, being part Hobbit. 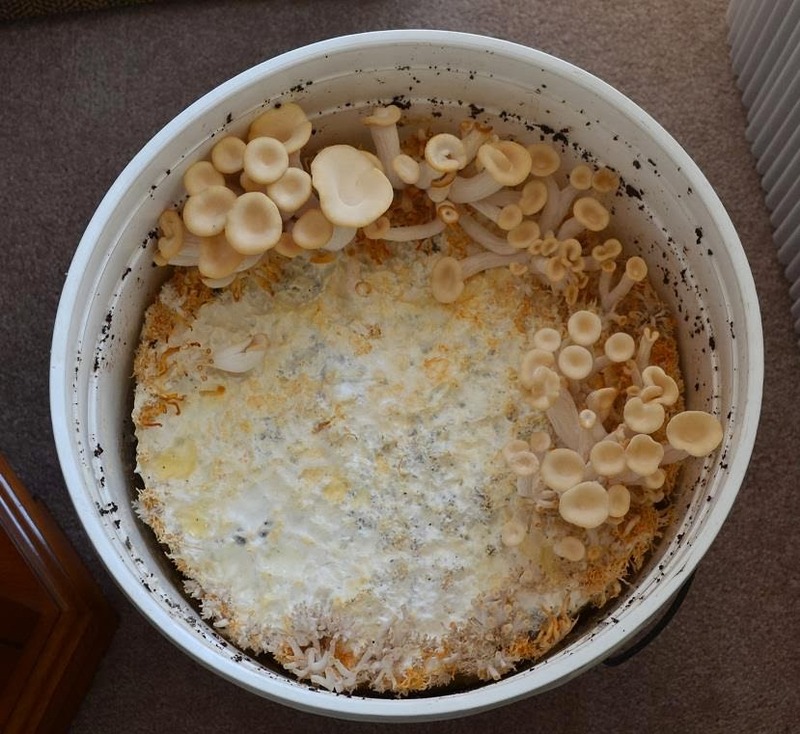 Ever been interested in growing your own crop of delicious or medicinal mushrooms, either inside or outside of your own home? Come and learn a variety of efficient and creative methods for growing your own varieties of mushrooms and how doing so can enhance your physical and mental health and our relationship with food, crops and the environment. This presentation will begin with a short analysis of what mushrooms and fungi actually are, how we understand them, how they behave, and also how they differ from other kingdoms of life. Understanding fungi at least on a basic level is critical to effectively nurturing them just as one would do a plant in the garden or inside the home. Next, you will learn the basic ways of which to grow mushrooms both indoors and out, including the importance of humidity, sterility, substrate and a number of other key components necessary for successful mushroom gardening. Oyster mushrooms (Pleurotus ostreatus) will be the main focus, but other simple and delicious mushroom species will also be covered, and how some of them can be used in combination to increase the productivity of your vegetable garden. Now folks, this event is free but donations are welcome so that we can get Tom to host more of these workshops.